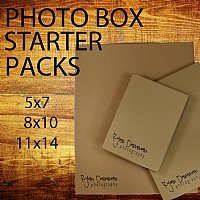 Wildcat's Photo Box Starter Packs are perfect for beginning professional photographers. You choose the color. Get your custom, full-color, logo printed on them to truly project your brand.